Shhpuma, a derivative of Clean Feed, continues to solidify its position as a purveyor of awe-striking music. 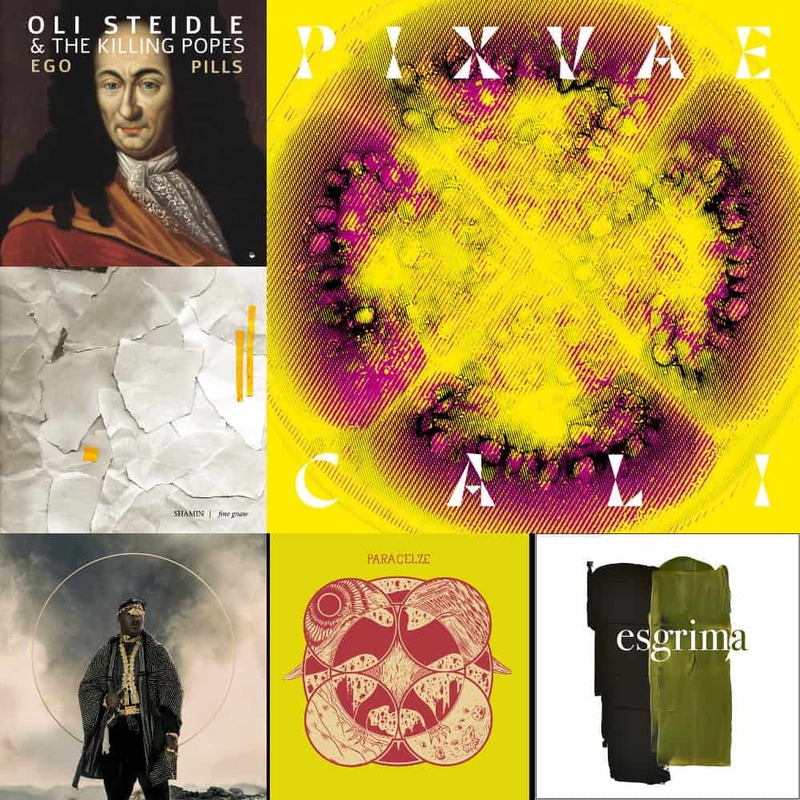 The newest demonstration is Ego Pills, an album by the experimental jazz-rock unit Oli Steidle and the Killing Popes. As you can imagine with the above video, the entire album deals in the psychedelic and the musically abstract, as the aberrant, incongruous compositions show. The entire fifty minutes on disc are vibrant and varied, and offer numerous surprises and rewarding moments. It’s a very notable album. Ahh, yes! Ever since I saw the first signs of a new album by the French-Colombian collective Pixvae, I became ecstatic. Their previous, self-titled album is still a favourite of mine, and the new one follows suit and improves on it. Pixvae is a bit tough to describe to the uninitiated. They definitely are playing metal music—the distorted guitar suggests some influence of djent or metalcore—but everything else points away from them being actually metal. Their songs include infectious Latin grooves, stellar vocal performances from one main singer and a brilliant backing choir, providing ample room for harmony and counterpoint, and plural folkloric instruments. It is undeniably one of the highlights of the year. Marvellous release! Do you want flaming hot jams? This is where you can find them. The Benjamin Shannon – Sophie Min drums-and-piano duo is about to release Fine Gnaw, an endlessly enjoyable ride. The influences on this one range from The Dillinger Escape Plan to Vijay Iyer, and it’s not hard to imagine how a mathcore-but-jazz description would be fitting. At over fifty minutes long, the album is very generous, and it bestows upon its listener a stupid grin from start to finish. It’s not out yet, but I want more! I have to say, Christian has nailed the aesthetics down for his new album, Ancestral Recall. Other than the amazing-looking artwork, the music it contains is just as spiritual, stellar, and quasi-divine. Deeply rooted in African, Latin, Native, and jazz musics, Ancestral Recall is a modern, if not futuristic introspection into the fusion of the genres. Therefore, it’s very rhythmic, but also melodically expressive, and intensely memorable. It’s a bright album that you deserve. The latest arrival of Swiss trio Paracelze is an incredible fusion of noise rock and jazz. All three musicians are multi-instrumentalists on Ptérodactyle, supplementing the formula with electronics, piano, and glockenspiel among others. This adds a lot to their sound, making it very versatile and flexile, bending one way and another as the album progresses. It is quite short, at just over thirty minutes, but it’s a quality time. Being an integral part of many amazing groups—not the least of which being Turbamulta, Portuguese composer and percussionist Nuno Aroso delivers a new crushing blow, in the world of contemporary classical music, with Esgrima. It’s forward-thinking and brilliantly off-putting in many ways, but it manages to maintain the listener’s intellectual interest as well as emotional responses despite being way beyond musical Romanticism. It’s a gorgeous and special album. On	March 30 2019, this entry was posted.